Optimization of a hit condition is not usually a straight forward procedure. Sometimes it may be necessary to add an ingredient such as seed or additive to the drop; equally it may be necessary to reduce reservoir concentration or remove an ingredient. Choice of a suitable experimental method , whether Under-Oil, Sitting Drop, Hanging Drop or LCP, also needs careful consideration. 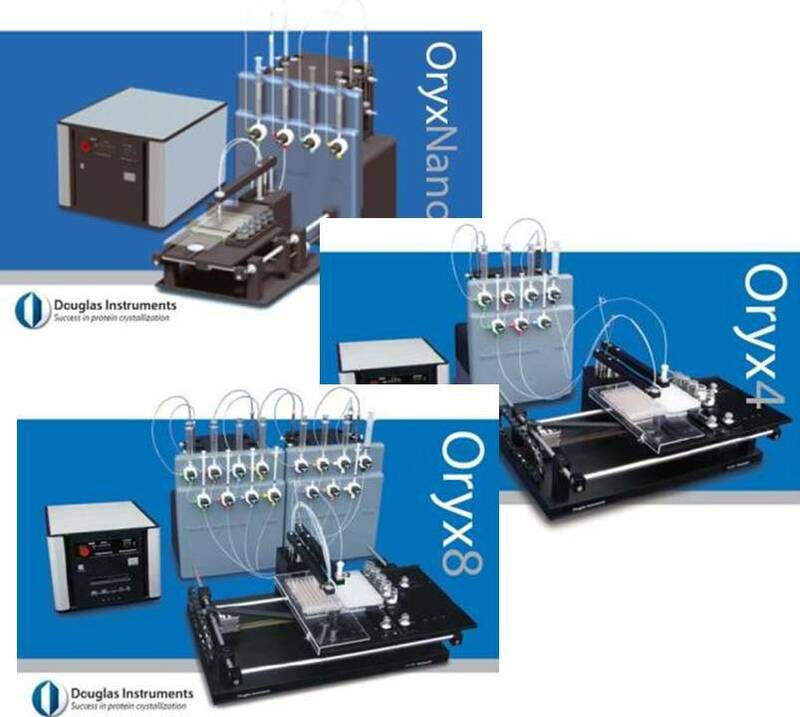 Douglas Instruments has recently released a major update for optimization with Oryx8. This enables users to create optimization designs for Sitting Drop, Hanging Drop and Microbatch-under-oil. Our optimization software, Xstep, allows users to design powerful optimization experiments with up to 7 ingredients. The software has tools for gradient designs, multivariate designs and pH experiments, and introduces a new reservoir-dispensing capability. When clicking dispense the user is asked to place the required solutions onto the robot work table. The robot then pipettes reservoir solutions, one at a time, using a disposable 1 mL tip. Typically, a 96-well 6 ingredient multivariate design with a 40 μL reservoir takes less than 20 minutes to dispense. Oryx8 then uses the Microtip to dispense drops with protein (also where specified, reservoir solutions that require very accurate dispensing) along with buffer and other additives. Vapour Diffusion, Microbatch–Under-Oil or Hanging Drop.. 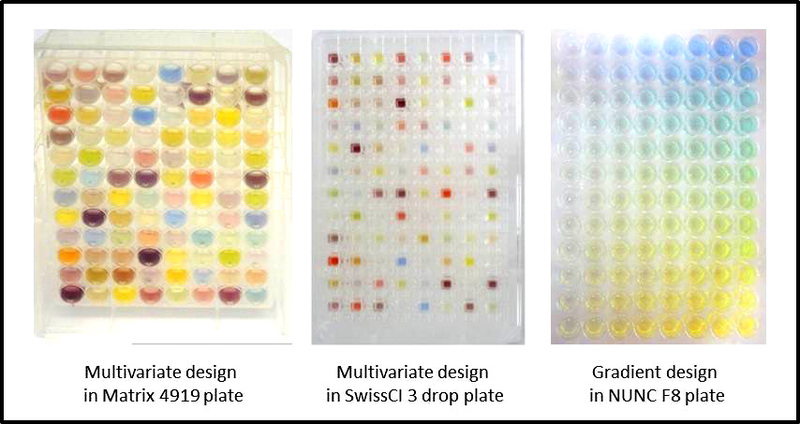 Dispense custom experiments to any plate including SBS or Linbro format plates. Design your experiment and click dispense! Dispense drops from 100 + 100 nL to 4 + 4 μL. Dispense reservoirs from 20 μL upto 600 μL. A typical scenario after doing a random microseeding experiment is that there are too many crystals or nucleation sites in the drop, and it is not obvious where to begin optimization. (Typically random microseeding experiments require a very concentrated seed stock to maximize the chance of crystal growth; however this can lead to over nucleation and thousands of tiny micro crystals!) 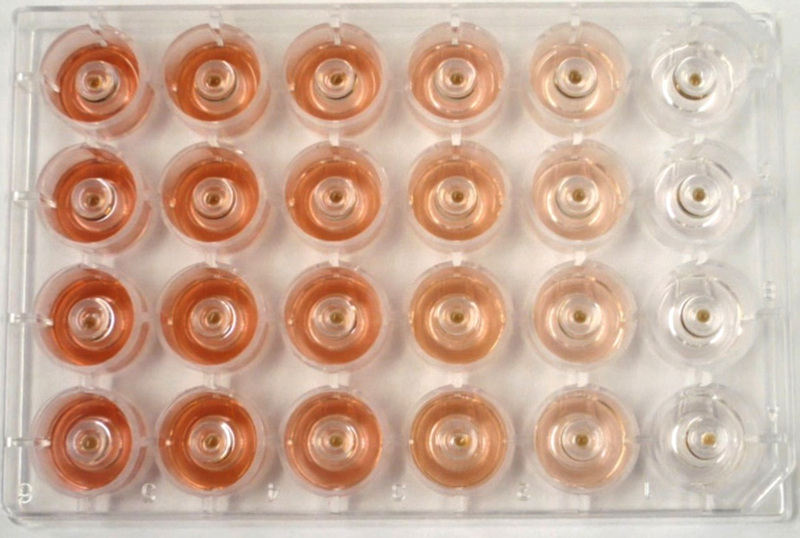 by creating a dilution series it is possible to systematically identify the correct dilution of seed stock for the protein and crystallization condition. 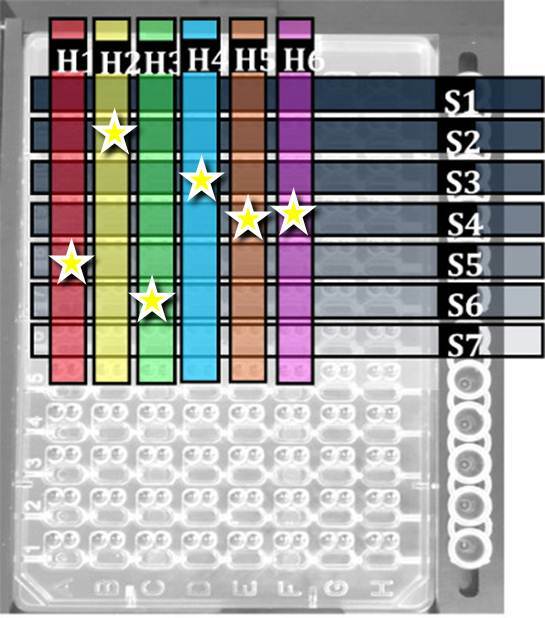 Douglas Instruments "Combinatorial Optimization" script allows users to trial up to 12 different seed solutions (or additives) and up to 8 different precipitants with the same protein. Known conditions for crystal growth can be quickly optimized. This is a great way to control the extent of crystal growth and get the right number of crystals. To request a service please contact Stefan@douglas.co.uk. Douglas Instruments Ltd. All rights reserved. Do you have a comment or question about protein crystallization or robotics that members of our bulletin board may be able to help you with?